winner will be chosen through raffelcopter. The class will receive $200 for supplies and needs. The teacher will receive $50 in free graphics, your choice! 1. You must have a paypal account. 2. You must be a teacher, k-6. from spending your winning cash. 4. Leave a message with this post on why your class should win. 5. Your class much accept random treats! 6. Enter to win with rafflecopter. 5 yes FIVE units from her shop!! And Tammy at Dots of Fun for the fabulous star digi paper!!!! Crossing my fingers! I would love to win because I have the biggest Melonheadz wishlist going on and we are working on our financial situation (apparently there isn't a budget for clipart), so I have to hold off until we are in a better place. I think my class should win because I already think it's going to be a great class. And there's lots of little things my district doesn't pay for, like Scholastic News and pencils and other things like that. And I love melonheadz graphics! How about an overseas adoption! Australia here and My classroom is having a complete renovation paint, desks etc in December...well and truly due... So I would love you to adopt us and I would update wall posters and everything with your graphics. Love your style!! What an amazing idea for a Giveaway, I love it! My class deserves to win because they would appreciate your artisitic talents so much. Last year, I used so many of your creations on my own work and the girls especiallly would put a piece of tracing paper over your drawing and try to trace what you had drawn the best they could. They wanted to be great artists like you. And I know my new class will love your talents just as much! If you're considering overseas adoptions (another Aussie here! ), my class has been truly fabulous this year and absolutely deserve to win. It's taken my Little Smarties a little while to form the close bonds they have now, especially between the Preps and the Grade 1s, and they come to school with enthusiasm and beautiful smiles every day. Your wonderful graphics and funding would go a long way to ensure the last 2 terms of our year would be extra special! My class would LOVE to win! I love creating things for my kinders with your clipart! I also already have a stack of receipts that I won't get reimbursed for and school doesn't start for another two weeks :) My kinders also love to be treated! How generous, Nikki! It is so wonderful to be part of a community where people just give. My students love my Melonheadz people and animals that show up on their mini-books and worksheets, and I know they'd love to see more. They could all really just use basic back to school supplies, so this giveaway would help us out so much. All I can say is WOW!!! I've never won anything but I do believe my 22 future kiddos would love this win and myself! I absolutely am crazy in love with your graphics and need to adorn everything with them =) We are a low economic area and lots of basics are always needed like school supplies and even clothes. Wow! All teachers would be lucky to win this incredibly generous offer! I can't think of any teacher who doesn't worry about affording all of the supplies we need to run a successful classroom. We all spend tons of our own money and are always finding creative and inexpensive ways to attain the items we need. I would love to be adopted by you because I could certainly use the money to purchase supplies, but, mostly because your clip art makes me so happy! Thanks for the opportunity to win! I am just starting my clip art collection and your illustrations are the BEST. I would love to be adopted! I am a experienced teacher going on 11 years but due to economic hardships in MI I had to switch districts, and am now working on a 1st year teacher's salary! So I have BIG dreams with little cash!!! My students mean the world to me and I would love to be adopted to give them even more!!!! Thank you for having this wonderful giveaway,it really shows much teachers are appreciated. Your wonderful artwork makes learning very exciting and fun. I would love for you to adopt my class. We are a class of multi-aged students with various needs. Some of my students have very limited supplies. I sometimes find myself buying buy them shoes or clothes if they can't get it from their families. Not to mention the supplies and materials I have to buy, because my school uses the money in other areas. Thank you for the wonderful chance. Wow! You are just AMAZING!! I would love for my class to be adopted. We are 15 first graders in a Title 1 school. Our free/reduced lunch rate is about 80%. We have many working parents so parental involvement is limited. I can't even begin to tell you how much money is spent out of my own pocket, because district budget cuts gives me VERY limited funds for my classroom. However, with the passion I feel for educating my students, I don't have the heart to deprive my students of a quality education, especially when many of them have a difficult home life. It brings me joy to be able to bring a smile to their face and a light to their eyes while they are in my classroom. I wholeheartedly thank you for this opportunity! My class would love to win! I am teaching in a brand new position this year. After teaching 1st grade for 10 years and 3rd last year, I will be teaching a 3rd/4th high ability multi-age classroom. I've spent my first pay check getting my classroom ready for this new adventure!! This is such a cool project you're taking on! Let me tell you a little bit about my first grade classroom. It is a very small and rural school in Hollywood, SC. When I say small I mean 1-2 classrooms from CD- 6th Grade. We are Title I with almost 100% on free lunch and breakfast. We are also a very diverse school with about 85% African American and a growing Hispanic population every year. Most of our Hispanic children come in speaking NO English so it is quite a challenge but they pick it up so quickly. We have free tutoring after school which involves free dinner and bus transportation home. It is quite the little interesting place. Our kids have huge needs but huge hearts. I learn something new from them everyday. While it is a different world out there there is no other world I'd rather be in. We would be quite the diverse class to adopt but also a very much appreciated one! This is an amazing opportunity. You are so generous. I'm moving up to Second Grade this year, after teaching First Grade for the past 5 years. I'm super nervous about this year and it has been a struggle financially setting up a new classroom. Getting adopted would be a blessing to both my new kiddos and to me. Wow! I so glad that Nikki has to pick the class and not me because I would pick them all. I live in Michigan and our school districts are struggling but then so is nearly every other state. I think this is a wonderful idea and the class that wins will do the happy dance or at least the teacher will. I can see it now. Good luck to all who enter. My class would love to be adopted. These are the 5 reasons why we need to be adopted: #5 I am teaching a brand new grade level this year, Pre-K. It has been piloted for a couple of years, but this year a lot of the schools has this program. #4 There isn't a lot of material for my new grade level, so we need help getting supplies. My kids eat playdough and crayons. #3 Because it is a new grade level, I need to create everything which is why I need more Melonheadz #2 I am doing a Melonheadz Superhero theme in my room. The #1 reason why my class deserves to be adopted is because they are stinkin adorable with the cutest personalities and faces. Wow! What a generous give away! Winning would be a real blessing as I usually pay for all of my own extra supplies for the classroom. I try to be the type of teacher my son will one day have and sometimes that means spending a bit of my own money, but it is worth it. I know the children and parents appreciate it. Besides, I love my job and it makes my heart happy to see the children enjoy their learning through the lessons and projects I create. 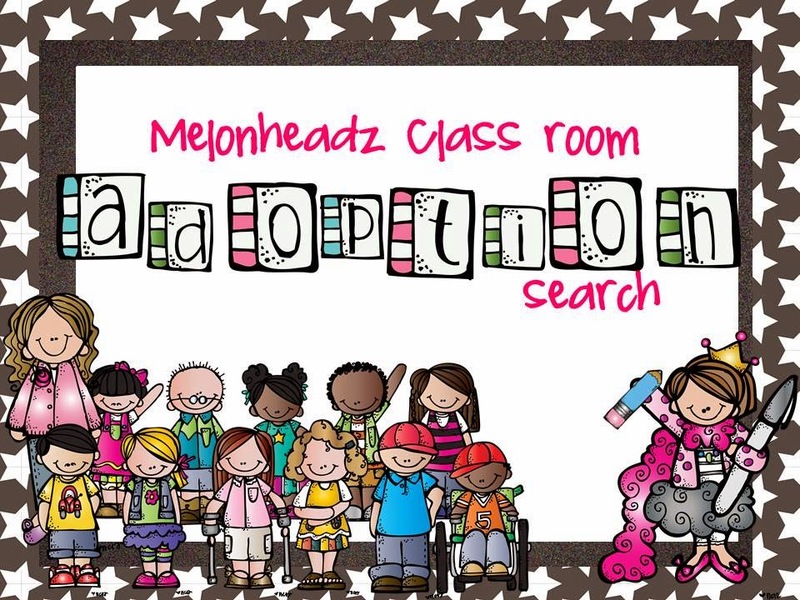 My class would love to be adopted! I am teaching over 50 students this year on a school budget of $125.00. I would love the opportunity to purchase books and items to really create a classroom of critical thinkers. Thanks for the opportunity. Oh my goodness! This is an amazing, generous giveaway!!! I would love to win this for my kiddos. Like any teacher, I spend countless dollars from my own pocket annually. (Despite being a 14 year veteran, I still find myself dipping into my own pocket every year.) I teach 2 half-day kindergarten sessions, which means that I have 50 kiddos to purchase supplies for. Projects can become pretty costly quickly when you are purchasing supplies & materials for such a large number of children. There are certain projects and experiences that I want my kids to have...so I try to plan ahead, budget my own money, and make sure that I have funds when those times arise. I won't lie...somtimes it is tough. It is always worth it to watch their faces as they create, explore, learn and have fun! :) I love my kids and I love my job. I can't imagine doing anything else! Nikki! What an amazing opportunity! I would love for my class to win! I will start the year with 26 first graders and this year I am starting a blog just for parents only. I want to post daily about star students and what we are doing in the classroom every day to give parents a strong connection and open that line of communication. I get goose bumps just thinking how amazing it would be to have your artwork and characters on the blog somehow....I have just a free template now so how cool to use the money at your blog design to create something awesome for my parents and students to be proud of! I would be honored! Thank you for the chance! Nikki....you are too kind and too generous. I would love to win this, because I LOVE your graphics. I love creating things for my classroom and in full disclosure to sell (and giveaway) to other classrooms. I teach in a school that is almost title 1 and has a large Hispanic population. I try to be sure they have the supplies they need and they have lots of hands on experiences to facilitate better learning. To this end I spend thousands of dollars each year (I am always surprised at tax time how the numbers add up). Most of that is spent the month of (Back to School supply sales). But I have started rambling. There are probably many others more deserving...but I LOVE LOVE LOVE your graphics, so I thought I would at least toss my name into the running. My class deserves to be adopted because they need the opportunity to have the things they need to learn. I am a single person with one income, and I can't do it all. Our school supply money for our classrooms are being cut. We don't have an active PTA, and our students' parents often have bad memories and associations with school, so it is difficult to receive parent help. Our school is Title 1 with 94% living below the poverty line. They are very transient, and will often leave our school with no warning to attend another school. They often come to school with no backpack, pencils, crayons, and other supplies, and have shoes that are falling apart and clothes that are stained and ripped. It breaks my heart that I can't afford to give them shiny new shoes and clean clothes. But with your "adoption", I could provide them with shiny new notebooks, highlighters, and crayons! Thank you so much for this opportunity- you are so generous! I think I should win because I am in a low income area Title 1 campus with about 65% free and reduced and most of he stuff for my class comes from me. I buy graphics as needed very rarely due to my spending so much already. I spend a lot of time making my kids learning as fun and engaging as possible. These kids have tough lives and want them to love learning and being good students. What an AMAZING opportunity! My rural school is very small (7-8 kids in a class is "normal" for us sometimes), and things can get rough, but we also have an incredible staff to keep the spirits of our building up. Not only would this adoption be enough for one classroom, this could potentially change the direction of TWO in my building (if you would allow me to share, if I am chosen)! We always try to instill the impact of generosity and good deeds on our students (we're bucket fillers!) and what an amazing drawback this could potentially be! Wow! You are so generous!!! Honestly, there are far more needy classrooms out there than mine. I entered because I LOVE your clip art and use it on almost everything I create for my classroom! This is beyond exciting! I live and teach in one of the most expensive cities in the country. As a mom of two, it's a hard balance financially to support my own children and to provide my students with quality supplies. This opportunity would allow me to give my students something special that I otherwise couldn't afford. Thanks for the chance! I would love to win this adoption. I teach in an inclusion setting in a rural district. We have a large at-risk population. As a Michigan teacher, my state has a long way to go to recover from the auto industry decline, Detroit's bankruptcy, and so much more. Your clipart would provide inspiration for my artistic students that have lost their formal art instruction with previous budget cuts. Wow - how generous, Nikki! I would love for Room 11 to win so that I can incorporate more technology into my room! I'm trying to use have a 21st Century learning environment, but the budget does match :) Thanks for the chance! What a generous offer, I am speechless. My little classroom would so love to win, as we are in an area where money and supplies are sparse. Students often come without crayons, pencils, folders and the like, so my wallet keeps getting thinner and thinner as the years go by. I would love to purchase the necessities and some fun art supplies so my kiddos can concentrate on learning! Thank you again for this opportunity, what a beautiful way to start the school year. My class and I would love to be adopted. I teach in a Title 1 school- many kids don't have technology much less books at home. As a single mother with 2 kids in college, I can't afford to give my students everything I would like to give them. I would love to have your clipart to make my lessons engaging for my students. Thank you for giving fellow teachers a chance to be adopted. I also teach in a Title I school whose students have very little technology or books at home. That so much for chosing a class to adopt. I know that there are many schools and teachers in need. I am amazed by your kindness! My little first graders would love to be adopted! I have only just started gathering clipart and making my own resources and I have discovered a world of possibility for me and my students. I would love to be better equipped to serve their educational needs! Oh, and they certainly love treats! Thank you! First let me just emphasize again how gracious you are. Your graciousness and generosity amaze me (as does your work!!) As stated by others each school has so many needs with budgets being cut but here's why I believe my class and school are worthy. We are a small christian school and each day spreading The Word is my goal. I strive to let my kiddos know that they are made in the image and likeness of their God. I am happy to say that I work in such an amazing school where we can talk about Him. My biggest struggle is making sure that my classroom has the supplies and resources necessary to do His work. We struggle in our school with kiddos going without and each year it seems that it gets worse. If I could I'd adopt all of them! I would be honored if you would consider my classroom and the kiddos that I am so proud and honored to call my students. Thanks again, friend, for the work that you do. It has been life changing for me. God's Speed! I would love to win this! My class means the world to me and I would love to provide them with everything. I would love to be able to gather new resources to make my classroom the best it could be. Thank for your kindness. This is a wonderful gift for someone to receive. My students come from one of the poorest parts of North Carolina. Many of my students come from a disadvantaged background. I love to do what I can for them, but my resources and funds are limited. I would love for them to get some surprises during the school year. This is such a fabulous raffle! I would love to have my classroom adopted by you because I just started selling products on TPT and have been purchasing a TON of graphics. The $50 would help this newbie get my shop up and running! My little dumplings would so appreciate the supply money because we do not get that much money from the school for supplies. I've already spent loads out of my own pocket and would love to keep spoiling my kiddos! I would love to win this fabulous giveaway! I work in a low income school where all teachers buy all their own supplies. I don't ask parents for supplies or a wishes because they do not have the extra income to purchase these items. This adoption will allow me to buy supplies without hurting my pocket book as well. Thank you so much for doing this giveaway! What a fabulous giveaway idea! My class of 6th graders would be great to adopt. A lot of my students don't have the parent support that as teachers, we would hope our students to have. Personally, I think any class you choose will benefit, what teacher doesn't need extra supply money right?Also I LOVE your clipart and would be overjoyed to have 50 dollars of graphics. I use your designs for my classroom and products I sell on TeachersPayTeachers. You are a truly amazing person. What a kind and generous soul you are! 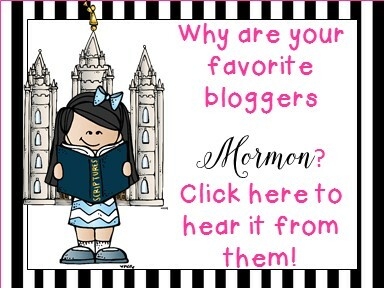 I've been a collector of your clip art since you started a blog. I have so many of your bundles in both color and line art that I lost count. Your artwork adds color and whimsy to the lives of my students who need it desperately. Each month when I post new posters, signs, and educational games in my classroom, my students oooh and aahh over your graphics. That's just one of the reasons it would be amazing to have you adopt my class. I teach in an inner-city school in upstate NY. We have 100% free breakfast and lunch, as my students come from very low income homes and backgrounds. Every year I buy all of the school supplies for every single student in my class. I do this because I refuse to see a child go without the basics, and because for most of the parents, the necessities of school supplies are beyond their already tight budgets. This year, my class will be the largest yet, I currently have 29 little first graders on my list. While I hit every sale I can, and hunt for all the bargains there are to be found, this is a significant expense. If I were lucky enough to have my class adopted this year I would be very grateful. Thank you for doing this Nikki, I know I'm not the only one out there who makes their student's needs a priority, and I know my story is not unique. My new kindergarten would LOVE to win this! I just moved 5 hours away to a new school. The classroom I got has been cleaned out. The money would help my pockets to replenish the classroom with manipulatives and supplies. I have also been told that most of the supplies on our school supply list will not come in with the students. The giveaway will help me with the costs of making up for what we do not have. I usually purchase class sets, but seeing as though I just moved a month before school started my funds are very limited this year. No matter who wins, this is a GREAT thing to do. Thanks! I would love it if my class would win! 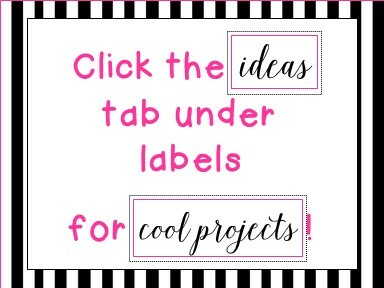 I am starting in a new school and in a new grade level, and would love to show off your awesome clip art with the projects I make for my special education kiddos. Also, being at a school where I am responsible for any additional products I want for my classroom - having 200 bucks to spend on that stuff would be sooooo helpful! You are a kind person. My class of 1st graders would love to win something like this. I teach in an urban district where most of my students (90%) are on free and reduced lunch. They do not bring in their own supplies and my class budget is $30. I typically spend between $1500 and $2500 each year. Thank you for this opportunity. If my class won, I would get some class pets. My 3rd graders would be able to learn responsibility while learning about inherited traits, learned behaviors, adaptations, habitats, etc. What a great way to learn so many science skills in a hands-on, real-life situation! I'm keeping my fingers crossed! Thank you so much for being generous. This is absolutely fantastic! Classrooms need as much help as they can get. If my class was adopted, I would purchase thesauruses (or thesauri), some non fictional resources, task cards for workshop, mp3 players and earbuds for a listening center, and books for novel study. Thank you again! What a lovely and generous concept! I teach 2nd grade in a high poverty Title 1 school, and our students would feel so blessed and appreciative for any donations and treats! They certainly deserve it in my proud eyes : ) Not to mention my wishlist is totally flooded with Melonheadz clipart HA! I teach 3rd grade in a low economic farm area and the majority of my students can't afford supplies,are on free and reduced lunch and we're a title 1 school. For the past three years our school can't afford to alocate teachers any money for supply orders so I by my own supplies for my students: pencils, erasers, paper (copy, construction, notebook, etc), crayons, markers-the basics. I usually end up providing 2-3 kids with shoes every year as well. If my class won, the money would go right into the classroom for the children! As would your AMAZING artwork! I think this is an amazing offer you are extending to the children! You're too kind and it's great that you're willing to give back! Kuddos Nikki and THANK YOU! I have to admit I got a little choked up just considering the overwhelming generosity of a complete stranger who wants to make a classroom a little sunnier. Of course I feel like I know you, but you don't know all of us. How amazing! Sadly, I have a story that echoes many others. However, we are an extremely diverse population with over 40 languages spoken at home; the diversity is our strength. Your graphics speak to me because of how powerful it is for these children to see an image that looks like them. Struggling families, few resources, and the undeterrable curiosity of my children have led me to you. Thank you for inspiring magic in everything we create. Thank you so much for wanting to adopt a classroom. Like most teachers I spend quite a lot of my own personal funds on those little extras to make learning more fun. Our 5th graders are going to create interactive notebooks this year for most of our core subjects; reading, math, and science. Our class would love to be selected because we would love to include your "fun" artwork in our learning notebooks. The PayPal cash would come in handy for those extras that we would use in our notebooks as well: colored paper, envelopes, card stock, glue sticks, highlighters, etc... Thanks again for wanting to adopt a classroom. I hope you will adopt my class. We are part of the Appalachian Schools in Ohio and we have a limited budget for art supplies. We often run out of construction paper before the school year is out. I would love to spend the money to buy extra art supplies to enrich my teaching and their lives! Winning this prize would be a great opportunity for our classroom. I teach science to 115 kids this year. Coming up with fun engaging activities is not hard. Buying supplies for all of my students is an issue. I would like to give my students a huge love of science early on so when they move on in the world, they can remember those little things we did and how memorable and enlightening they were! Being able to get enough supplies so that every class does not have to be a class demo would be wonderful. How fun! What an awesome idea!! My class of 26 kindergartners would be so lucky to start the school year off by being adopted by you!! Absolutely love your graphics! Teachers in my building begin each year with what we purchase on our own. There is no budget and much of what comes into our classroom comes straight from the teacher. You would be blessing a classroom full of energetic 5 and 6 year olds! Starting my 10th year of teaching tomorrow! This may be the coolest contest of the summer, or ever! What a neat idea! I would be honored to have you adopt my fourth grade classroom because we are going through a transition year in our district. Many changes are happening with school's being renamed, bus routes changing, teachers being moved around, etc. This would be such a fun and positive experience for my students. Thank you for being so creative and thoughtful!! I really struggle with answering this question to be honest. I feel like no matter what I say I am being selfish. Sure, we need to be adopted so that we can get more supplies for majority of the little ones who come to school empty handed, or because we don't always have parents who are 100% involved, or because it would help take a load off of me- the teacher. But the reality is that the kids just need to be loved and encouraged daily. I have found in my 5 short years of teaching that loving them wholly and encouraging them constantly goes a long way. If they show up without a signed reading log, or without a lunch, or out of dress code, there is almost always a reason. A reason that once I sit and listen to, really listen to, just breaks my heart. A college professor told me one day, "Parents send you the best thing they have." I remember that constantly because it's true. No matter how much a child may struggle or how successful they are, that child is ALWAYS the best thing that parent has and I am humbled that they trust me with him or her. Thanks so much for just loving and supporting teachers the way you do. It really means a lot! Have a great day! Oh, how wonderful this is that you are doing this! I am teaching second grade this year after the last decade out of the classroom, teaching small groups. I am basically starting over again as a "new teacher," and my class could really benefit from this giveaway! They need all sorts of things, and I'm doing the best I can, but this sure would help! Thanks for the chance! First of all, thanks for this opportunity! My class should win because this is my first year in third grade. I barely had anything to bring to the room. The extra $200 would be such a blessing! Thank you again for this incredible opportunity! Love your talent and your heart! I can't claim to be any more needy or unique than anyone else that's already commented. I guess I'll just say that sometimes the average people need a treat, too :) Thank you for an awesome opportunity! What an incredible act of kindness and an amazing opportunity! Every year I tell myself I will not spend a fortune over the summer, but each year the receipts just keep coming! It is hard to keep up with the constant changes in education on two teacher's salaries. I would love to be adopted! What a wonderful thing to do. I would love to win this. There are so many manipulatives, texts, etc that are needed as we implement the common core. As a special education teacher, many of these items are not provided. Thank you so much for offering this. What an incredible and generous give away. I would love to win this! I have already spent a ton of money on my class and school has not even started. I am on the team that is helping to train our staff for Common Core standards. I would be incredible to win this to really help shift completely over to CCS. I do have to tell you that my husband and I love duck dynasty and your graphics both made us smile. I am going to hatch ducks in my room this year and we were talking about naming them after all the people on DD. Thank you so much! I would love to have my class adopted, because I am an amazing class! They are a giving class who is always looking out to help others. They are compassionate and have big hearts. I am lucky to get to work with my students for multiple years because I am a special education teacher. I know my class would be super appreciative and the extra funds would greatly benefit my kids. I am truly blessed either way with a great class and awesome school! What a wonderful giveaway! My class would benefit greatly from a giveaway like this. I teach in a in a small town title 1 school. around 87% of our students are on free lunch. Most come from one parent families and as everywhere the economy here is in a shambles. I would love to be able to buy materials to supplement and enhance our reading and math skills. this would be a wonderful way to help my class get some needed materials. My class would be so blessed by the availability of resources that their poor teacher just exhausts before the school year even begins! HAHA! I know that we all put our heart and soul into the profession, so anyone would be thrilled. We all face budget reductions, and we all want to make our learning environment the best it can possibly be! I would love to be able to provide materials so that the kiddos can enjoy their learning through art and music within the curriculum...it CAN be done! Allow them to tap into that creative energy and enjoy their first school experiences! Thanks so much for providing this opportunity for the lucky winner and for your always-amazing graphics! <3 them!! What a fabulous opportunity! Like so many others that have commented, my school is a Title 1 campus with more than 90% free/reduced lunch kiddos. These kids walk in the door empty handed. I supply everything my students need to be successful in the classroom. The out of pocket costs seem so insignificant when my students walk in the door and see their desks ready to go. I love the smiles! That said, we'd LOVE to be adopted! What would we spend the money on? Apps for the four iPads we've managed to get through DonorsChoose. Lot's of fun, engaging apps! You're amazing! Thanks for offering this. I think every teacher/students woukd deserve this. Teachers are always spending money and I'm sure any teacher would be grateful to win. I know I would!! Oh my! This is an AMAZING giveaway! 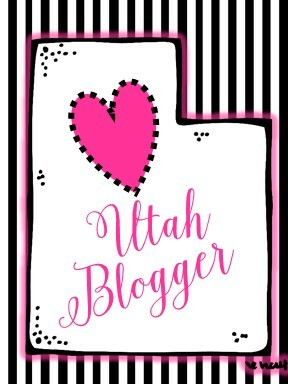 I am so loving all of the generosity of bloggers and artists during this back to school season! I read all of the comments and as much as I would LOVE to win this give-away, there are far more teachers who TRULY need the money for supplies....much more than I do! So my prayer is that teacher who truly needs this gets this! Thanks again Niki! You are amazing! I think that learning should be fun and engaging. What better way than with your unbelievably awesome products. First off, what a generous and thoughtful thing you are doing for a classroom of kids!! I think my class should be adopted because they deserve to have everything they need at school in order to be successful. Just because they are in a low-income household and their parents can't afford to get them nice school supplies, doesn't mean they shouldn't have them. I would love to be able to use this money to help purchase an ipad or itouch for my class so that my students don't "fall behind" with technology. The way technology is advancing and taking over, todays kids MUST know how to operate it. What an amazing opportunity! Thank you for this fabulous giveaway. I think my class deserves to win because I work at a small private school that doesn't have a lot of manipulatives and resourses for the classroom. My husband is in Grad school and so money is too tight for me to purchase all the learning resourses I would like them to have throughout the year. Also, I just recently opened a tpt store and would be thrilled to use your clip art in my products! Thanks again! Nikki! You are beyond generous! I just wanted to let you know! If I won I would be ecstatic! Because no matter who my students are and no matter where they come from, they deserve the very best I can give them simply because I love them and I want them to be the very best person they can be in their own life. I don't know them from Adam's housecat when they walk into my room, but that is what I want when they walk out. And if that means entering every contest and giveaway I can find in my spare minutes,dog-gone it!! I will do it. I think my class should win because they are a diverse group of special needs students from low income families and their families aren't able to contribute supplies to the classroom. The supplies would be appreciated greatly! WOW! This is amazing! I teach at a small private school in Northern IL. We have combined all classes this year, so this year for the very first time I am teaching s 2/3 combination class. I have taught 2nd for years. I'm a little nervous about the 3rd grade curriculum, but I know it will be ok. Anyway, it would really brighten up our little school to get some wonderful cheerful surprises every once in a while. What a super-cool idea! As a teacher in a high-poverty school, I've become an expert at working with limited resources. Having a little freedom to buy supplies that could be enjoyed by my students would make a lasting impact in my classroom. Also, I'm a huge Melonheadz fan! Making a connection would be an honor! Nikki, Of all the raffles I've seen this summer, this is the one I want the most! Kindergarten has lots of stuff posted around the room and it would be the perfect palette for your artwork; word wall, job chart, daily schedule, centers, anchor charts, themes, objectives, labels around the room, bulletin boards and calendar...everyone who walks in will know this is THE Melonheadz classroom (and they will all turn green with envy)!!! My husband tells me I grin like a kid in a candy shop when I'm making something with your characters....and I can't help it; they're just so cute they make me smile! I want my classroom to do that for my students and everyone who walks in the door!!! What an amazing opportunity and how extremely generous of you! Like most teachers, paying for your own school supplies for your classroom becomes tough this time of year. The expenses rack up and often you're the one fitting the bill. This rings true for me and this year I am expecting my first baby, so money is extra tight! Would LOVE for my class to be treated by you!! Thank you for such an awesome giveaway! I honestly have to say that my class and my babies are fortunate and I know that there are other classes out there that probably need it more than anything. Would it be nice to have the opportunity to buy them more supplies to help their learning? Yes, but if we did not win it would be okay. I know someone else is probably more deserving. I have a million ideas of what I could use the $200 for!! I get $100 for the year for classroom supplies for my firsties and their parents don't have a lot of money to buy them school supplies, so I pretty much have to spend a lot out of pocket. My hubby and I have some house repairs that need to be done and we are also trying to start a family, so we are trying to save as much money as possible! 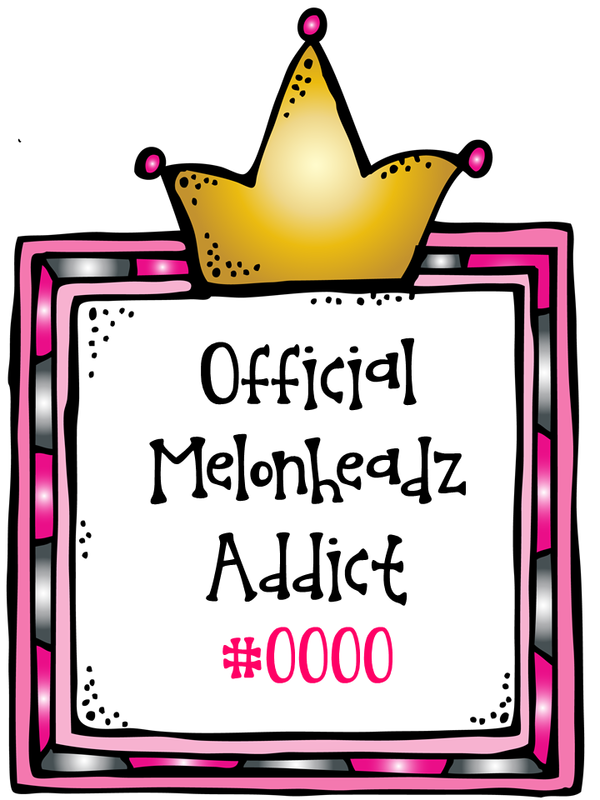 I also LOVE MelonHeadz clipart!! It would be awesome to win some! Thanks for the chance to win an amazing giveaway! Wow, thank you for this amazing opportunity! I know there are MANY MANY deserving teachers/classes. We don't get nearly enough funding for our students so I end up paying out of pocket every year. It would be AWESOME to win this!! Picking my class would be adopting the entire school because as a teacher librarian I see everyone. They already love your graphics I use to make library book displays and lesson activities. And while I may not have the same kids all day I do have kids all day and we go through REAMS of paper and pencils and glue sticks and scissors and paint and books at the bookfair when they don't have any money. :( And the library doesn't get any of the supplies that kids may or may not bring on that first day. Thanks for even offering! Hi Nikki...picking my class would mean the world to us because this is the first year I am teaching third grade and with everything going on with Common Core it becomes 10 times scarier. Also I believe you should choose our class because in our district we have 8 elementary schools and our school is the only Title 1. Our families do not have a lot even though they do the best they can and usually we are scrambling to get the kids the things they need and I am paying for most. Don't get me wrong I would do it over and over in a heartbeat. Either way thank you for this opportunity! You should adopt my class because.....the county that I work in is a very divided county all of the upper and most middle class citizens send their children to one of the seven private schools in our county, the middle class, lower middle class, and students who are in poverty or homeless go to the public schools. We have a strong population of Hispanics and Indians in our school system and even in my own classroom. the school I work at is a Title 1 public school and has many students who are in need. Our county in having to make a HUGE amount of budget cuts because of issues that have happened at the BOE. The cuts were made to make classroom sizes larger (For example, I have 29 first graders in my class, but I love each one of them. ), teachers were RIFTed, and we do not have any textbooks for the subjects we teach. So, because of this, many teachers in my county, school, and I spend money buying and creating our own curriculum for our students, which can be costly for us. Receiving these resources would benefit my students greatly and me. I say me because I would be able to create and use the BEST resources out there! I would love to be adopted by you all, so I could give my students the BEST that they deserve no matter who, what, or where they come from. I REALLY hope that this isn't another double post... computer problems galore today. I am ready to start my 14th year in my current building, but I will be in a new room and a new grade level this year. Our school is in a community that has grown tremendously over the past few years. I don't know if we still qualify as a rural community or not. We are a Title 1 school with a very high percentage of kids who qualify for free and reduced lunch. Our K classes were very overcrowded last year and they are sending 80 kids to first grade who have already been identified as at risk (well below grade level) readers. I was chosen to move to first grade in order to help "catch them up" and get them more prepared for the rigors of second grade where I have taught our most at risk kids for the past 8 years. In order to alleviate some of the overcrowding, 3 new first grade classrooms have been added to the grade level for next year. The two other new teachers are first year teachers. Any money available for furniture and start up materials is being divided between the two of them. I am overlooked as a "new" classroom since I have been in the building for 13 years. I want my kids to have a warm and inviting place to be and not feel like they are in the classroom that was forgotten and thrown together in bits and pieces. I have been spending money out of pocket like crazy this summer (approaching $1000). TpT has been a wonderful resource and I have been blog stalking all summer trying to prepare myself for this new challenge. I am hoping to get a class list when we officially report on Monday so I can start putting their names on everything. Can't wait to meet them on the 21st. What a great giveaway! I think my class would be a good choice because they would love all the cute clip art. This is also my first time on your site and there are so many too chose from. Thank you! oh, I'd love to win this. I would love to start creating for tpt or more importantly my own classroom use and i adore your clip art...nothing else compares. Oh wow! What a fabulous opportunity?!?!? My class so deserves to win. Let's face it, first graders are Melonheadz. I want to thump their melons all day long! Haha, not really. But I do enjoying making them smile with super cute activities that encourage their creative side. Your clipart helps that to come to life. Especially amongst so much black and white curriculum. I will say though...you had me at random treats! Thank you so much for your generosity. Teachers spend so much of their own money buying supplies for their students as well as extra things to enrich the learning process. I think all teachers deserve an opportunity like this. I'm entering on behalf of my sister. Amber is a first year teacher, teaching 5th grade. She has been so supportive of me and my classroom for the last 8 years. Being adopted by Melonheadz would be such a nice way to repay her for all her help! Pick Me! Pick Me! This is a fantabulous give-a-way! I love to create any and everything I can for my classroom, my students,and even my co-workers. This would be fabulous for my class because it would be a wonderful addition to the creative tools that are used for creating cool centers, teacher created materials that are visually attractive, to make fun incentives for students, and much more! I just LOVE your work! I would love to use more of your art work in my classroom. I work at a school that has NO extra funding. Because of that I spend large amounts of my own money making my classroom a fun environment! With your help I can continue to make my room look like the fun, loving, happy environment it should be in order to learn! I would love for our class to be lucky enough to win this giveaway! I teach in an urban school with a very low SES, so many of my students lack the books, supplies, and day-to-day essentials they need to be successful in school. Having a little extra would help me provide the basics they need, as well as some art supplies for my budding artists (our art program was cut)! I would love to win. I'd love to do so much more with your clipart and school funds are low so this kind of support would be tremendous! I would love to win! I am a brand new fourth grade teacher with nothing in my room. I would love to get some more hands-on math manipulatives for my kids and your clip art would be so cute decorating my room! This is such a generous offer! My class should be adopted because second graders are so great! I would like to be able to give them some extra special supplies to use in our classroom. Also your clipart is wonderful and would be fun to use to create center activities. Thanks so much for he chance to win. I work in a very low income district where many of my students can't afford school supplies. I use the funds to help purchase materials for my students daily use. I would love to win, and I think you are awesome to be doing this. My class should win because I am in great need of supplies and cute clip art! I absolutely love your clip art. I am a first year teacher and need supplies to help my 4th grade class of 30 students. This would really help buy science supplies, classroom library books, and new headphones for our listening center. Thanks for this chance to win. Thank you for offering these wonderful gifts! I think my class deserves to win because we are starting a new transitional kindergarten class this year. This money would help me to buy some extras for my classroom, such as a cash register for my store and pretty colors of construction paper that the school will not buy! 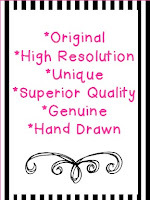 As for receiving a gift of your clip art, who wouldn't love this! I love to use your art in all I make for the class! Thank you ! I would love to win! Being a new teacher I was left with a room full of things from the past teacher and it would be fun to be able to add my own style to the classroom. The only problem is I just graduated so that means students loans are HUGE! I teach 3rd grade in a Title 1 school! I would love to be able to use this money to give my students exciting learning opportunities that will impact their learning! My students are so excited about school! I am looping with my class and they are the sweetest group. They totally love your work as they commented on it many times last year. Every time we see your clip art it just makes smile. Thanks for sharing your talent! I would love to win (I have never won a thing). 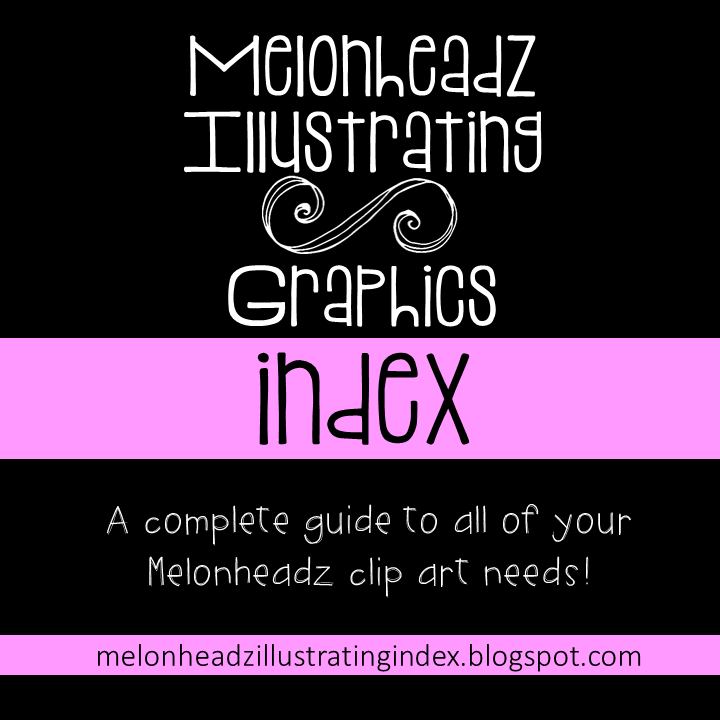 And of course Melonheadz is the cutest clipart going! Thanks for all your beautiful work. I would be so delighted to be able to use it in creating products. This sounds like an amazing opportunity! I am a first year teacher getting my masters and working at a Title I school. Anything I need for my class I have to buy on my very limited budget! Every little bit would help! My class is located in rural AZ and is high poverty and high esl. I LOVE these kids and their families. This will be my 10th year teaching, and all have been in this district. I'd love to have my class adopted because I could provide them more access to the informational text that is so needed with common core and it would greatly help me provide better, more updated (read working correctly) technology. It would also allow my students to make some real world connections which are sometimes hard in our rural, aging community. Thanks for the consideration! For the past 10 years I have been teaching in a school in urban Los Angeles. Most of the students live in a nearby housing project. The money would enable me to purchase everyday supplies as well as a few splurges on additions to my listening center and library. I also would LOVE the graphics! You are awesome for offering this, thanks! Such a sweet thing you are doing here!! I'd love to see my class win because I already use your precious clipart in everything so I know my kids love it. The treats would bring much joy during the year and the money would help me keep us stocked with supplies throughout the year. They always run out way too fast. Thanks for the chance!! I would love to win!! I just recently had twin girls bringing our total kid count to 5! AND I'm going back to work full-time on Monday :-( I need a pick-me-up and winning this would certainly do that for me. Thanks so much for the great opportunity. Student and teacher supplies are in great demand all year long.It would be great to be able to afford books, scholastic news, smartboard games, etc. for my students and families. 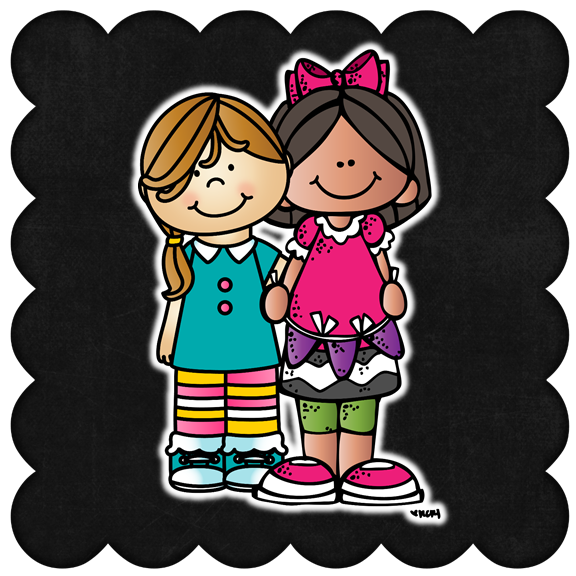 Any classroom would be so fortunate to be adopted by you and your clipart! My Kindergarten class is in a great school with great kids...complete with great parents! Every teacher who entered this giveaway is worthy . As I was reading the other entries, I started to realize what a great school I have, even though the year is starting a little bumpy. My goal is to keep my web page updated so that's the reason I would love to win,. Using your awesome graphics my keep me motivated to update! Good luck to everyone out there! I hope I'm the winner, Nikki! I will do such fabulous things with this very gracious offer. If I win I will find a great creative way to show you! Happy creating!! My Kindergarten classroom is always in need of extra cuteness! And who couldn't use extra supplies!? Hi ! It's us...the kids. You see our teacher, Ms.Darcy, has had a no good ver bad day. Her computer hard drive crashed. A Dell IT specialist came over and tried to help her. After 3 hours, they figured out the computer will not reboot. She was so sad,she are a punt of Ben and Jerry's Piña Colada all by herself. 2. She makes us our very own personal games and bookmarks using your clipart and her skills. We get to keep these at home. 3.Our creativity and new ideas will inspire you. 4.She tells us stories about her life so we will become better writers. 5. We like to read in kinesthetic ways like the hockey bundle you made with the Stanley Cup. 6. The 40-50 of us... K-5 students absolutely adore random treats. 7. Her cat, Sophie, has requested that you draw her sometime. She is a love bug and we can imagine a game or book with her. Thanks for considering us, Ms Nikki... We could use your smiles here in Boston to bring love and joy to others in many different languages ! Ps. Please don't let her know that we sent this...we want it to be a BIG surprise for her if she gets picked ! Thanks !